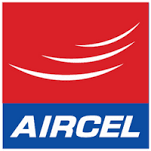 Actually i am using aircel mobile network , on 06/01/2017 i am recharged 55 rupees and get the talk value of 45 rupees. And also i am having some amount my existing balance also. Total my balance in 68 rupees, Yesterday i am check my balance show only 8 rupees. I am call to customer care they told you have called the ISD number then we have charge the 45 rupess. I have check my mobile its show only local number only.